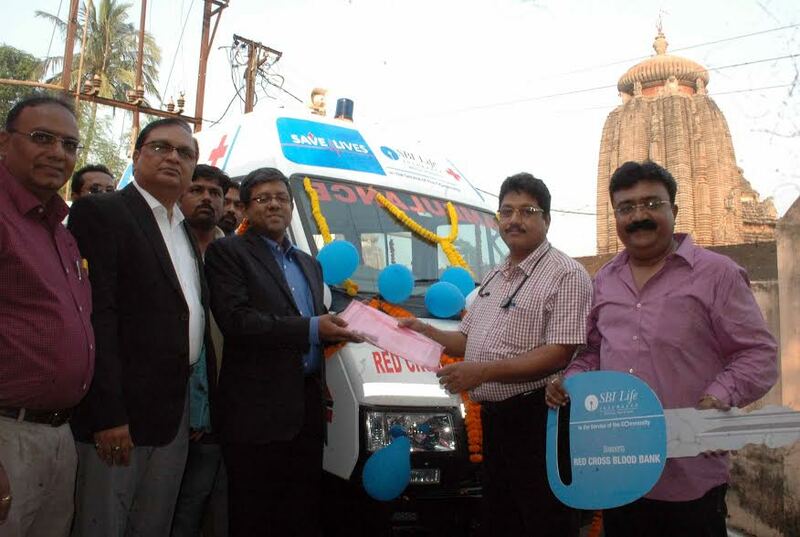 Bhubaneswar: SBI Life Insurance, a socially inclined life insurance company through its CSR outreach has extended its support to Red Cross Blood Bank, by providing an ambulance to ease the transportation issues and outspread help towards the needy people. Mr. M. Anand, Executive Director, SBI Life Insurance handed over the keys of the ambulance to the Chief Medical Officer of the Blood Bank, Dr. Sanjay Ray, Chief Medical Officer, BMC Hospital, Bhubaneswar. The Blood Bank has been continuously working towards public interest especially for Thalassaemia patients since 1997. As a result of their continuous efforts, the bank has been awarded and recognized as a Highest Voluntary Blood Collection blood bank in the state for 5 years in a row by the Chief Minister of Odisha. Understanding the need for the ambulance for their smooth operation, SBI Life took the initiative to provide it for the blood bank, so that they can reach to the remote areas and extend their services more efficiently. Through this initiative, SBI Life believes that the blood bank will reach out to remote areas and help more number of patients by holding blood donation camps in and around the city. The cost of hiring vehicles for holding blood donation camps is very high and an ambulance can definitely add to their advantage. The ambulance for the blood bank would be furnished with facilities like a stretcher, oxygen cylinder, IV bottle holder, first aid box, electric plug point, seating for doctor, attendants, etc, which will be helpful to the patients during emergency. Over the years, SBI Life has tried to ameliorate conditions of over one lakh children from the underprivileged sections of the society from across India by facilitating them with education and adequate health care services through its initiatives such as ‘Shiksha Ki Kiran’, ‘Health & You’, ‘Shiksha se Safalta’, ‘Khushiyon ka Lunch Box’ and ‘My Art My World’. The company has further extended its CSR initiatives towards providing facilities to the children from the rural areas, like safe drinking water, sanitation and electricity, along with better infrastructure and healthcare facilities. SBI Life supports genuine initiatives with a vision to promote and facilitate the children to emerge as productive assets in a sustainable and scalable manner and thereby, set a foundation for nation building.